We’re celebrating National Curry Week, which takes place from the 9th – 15th October, by suggesting which of its beers is most suited to the various curries that tantalise the nation’s taste buds. For those who like to keep things mild, a citrusy wheat beer can be paired with anything from a Korma to a Dopiaza. 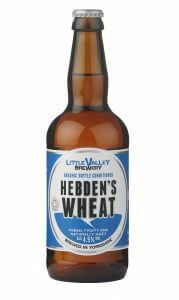 The Hebden’s Wheat is a natural hazy Wheat Beer, which holds hints of coriander and lemon and is refreshing to drink alongside these milder curries. 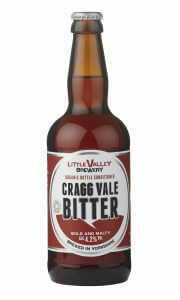 Going up on the spice scale to a medium curry, our Cragg Vale Bitter is rich with a full and rounded malty body. Using Challenger and Golding hops, it’s crisp and fruity with a clean bitter finish, making it a real match for a medium Balti, Bhuna or Biryani. If you can handle the heat of a vindaloo or a phaal, our powerful Python IPA provides a strong malty taste with a delicious balance of hops and bitterness. English IPAs turn up the volume on flavour, so they work best with dishes of similar intensity. Pairing the two will give you the best of both worlds, combining the intricate spices of a curry with the hops of the Python.